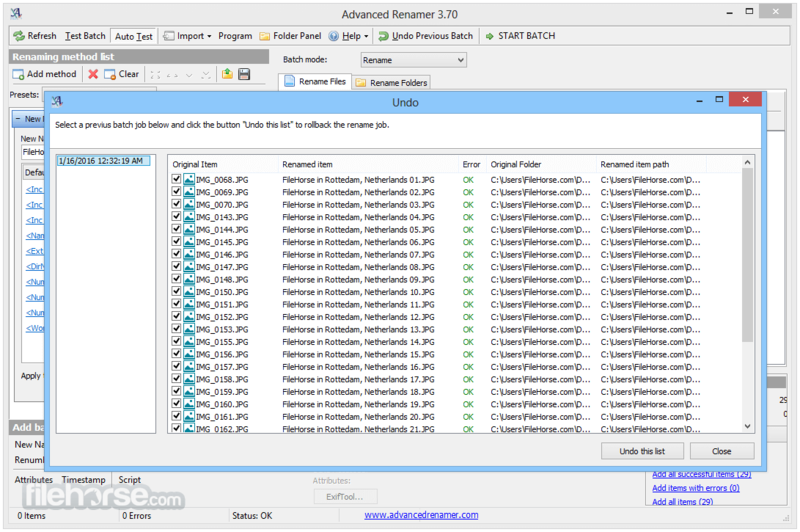 It is easy to set up an advanced batch job using multiple methods on a large amount of files. 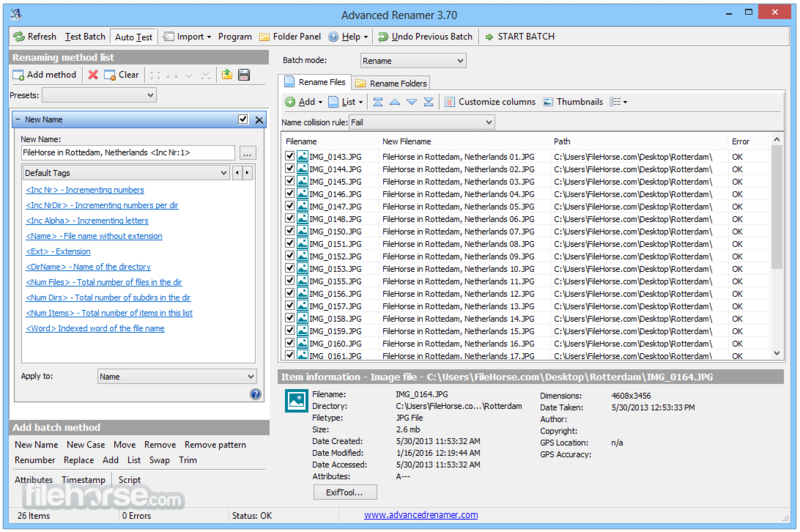 The 14 different methods enables you to change the names, attributes, and timestamps of files in one go. The files can also be copied or moved to new locations based on information in the files. 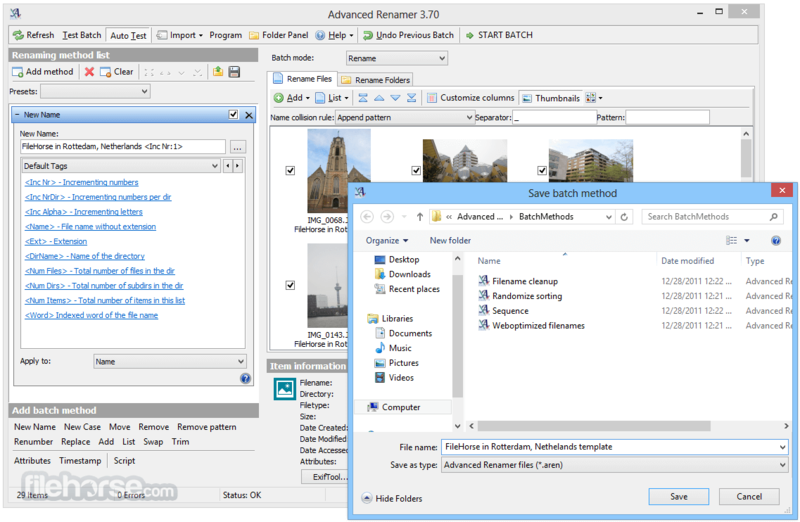 This mass file renamer is a great utility for organising digital pictures for both professionals and beginners. 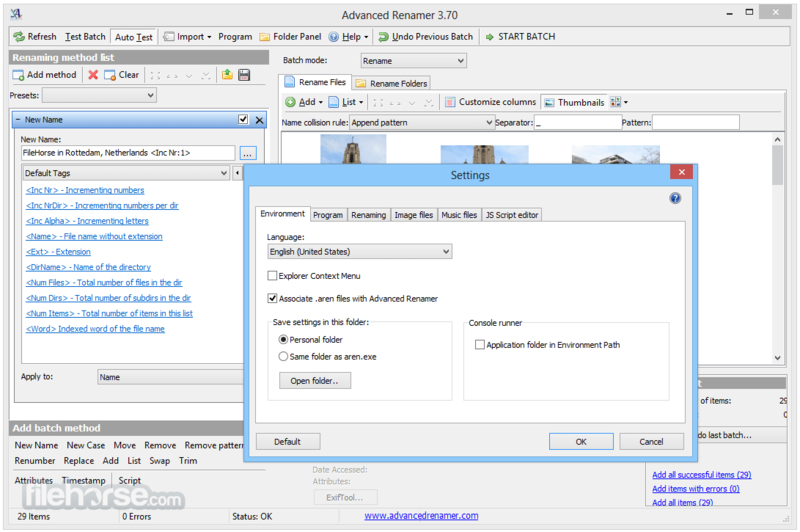 The thumbnail mode lets you display thumbnails directly in the file list giving you maximum control of the renaming process. 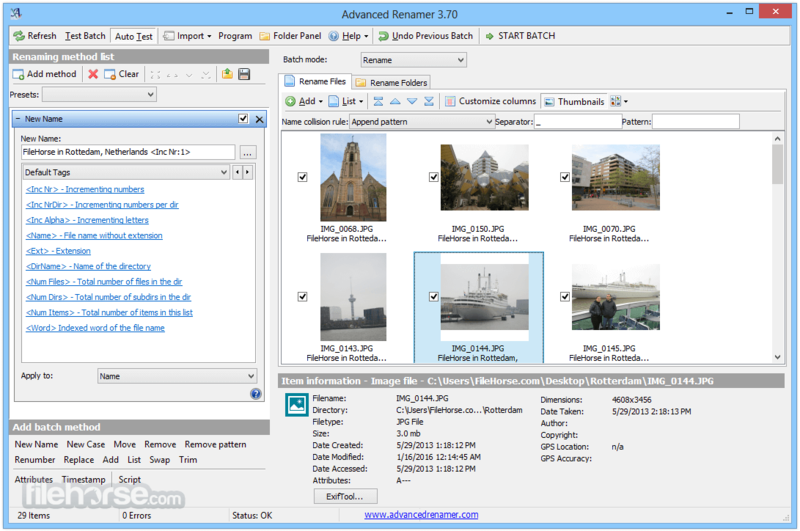 With this program you can rename all your photos in a snap.